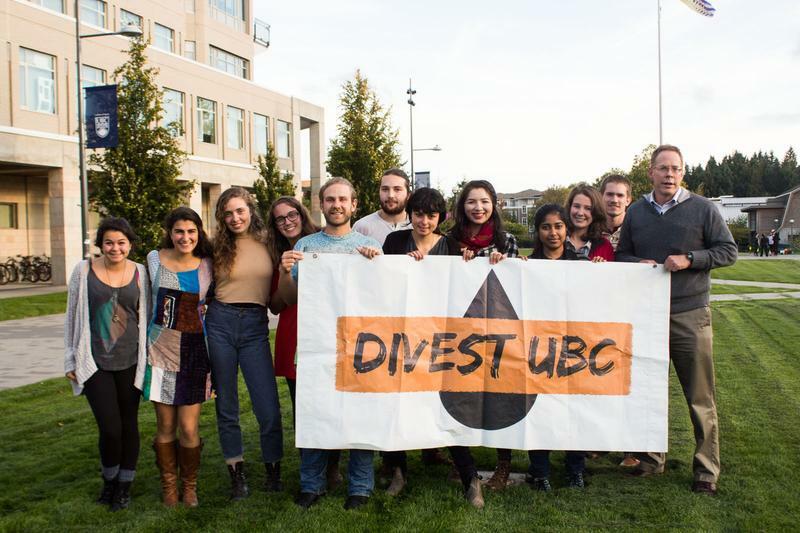 The online referendum, which took place from January 26 to February 8, asked UBC faculty to vote on whether to support UBCC350's Divest Campaign and encourage the university to divest from fossil fuels. A total of 955 faculty members voted in the referendum. On Tuesday, the results of the referendum were announced: 61.88 per cent of faculty members who voted support divestment. David Tindall, a environmental sociology professor at UBC, said that this vote will call on the UBC Board of Governors to make a decision regarding divestment in the next five years, as they had previously indicated they would. "One of the [deciding factors] was if the two core bodies of the university, such as students and faculty, were in support of such a move, but now it's up to them to make a decision one way or another," said Tindall. "Their hands are not tied, but this is a very strong symbolic message." Tindall also said that, along with the student referendum in support of divestment that took place in the spring of 2014, the faculty vote will play an important role in UBC's next steps in the upcoming months. "I think it's a critical step for getting the university to divest and I think the university divesting is an important action in a variety of different ways, in terms of helping society make some changes, in terms of moving away from fossil fuels," said Tindall.